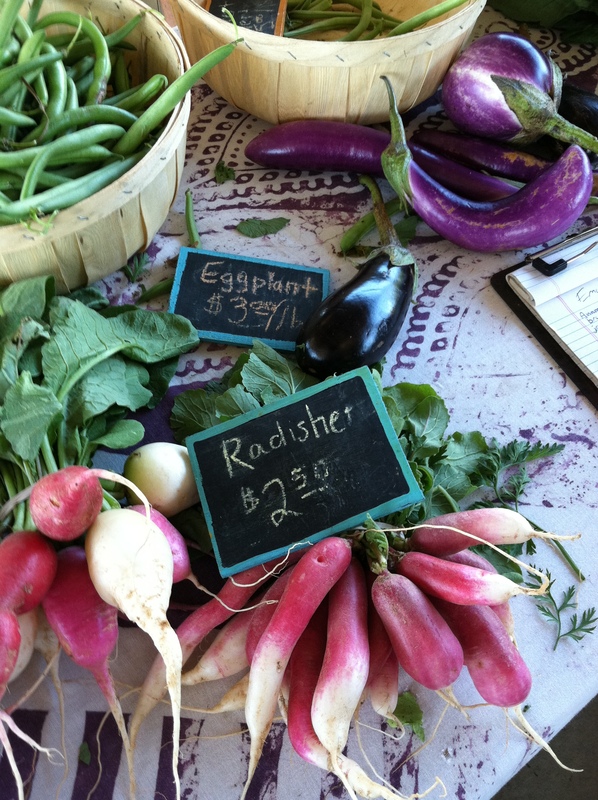 I am a big fan of radishes. 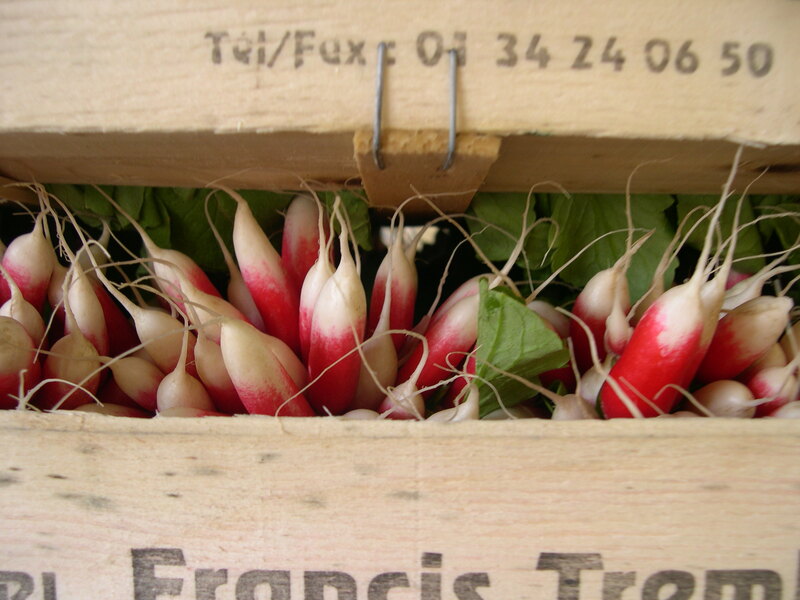 I love all kinds of radishes from daikon to french breakfast radishes, I never tire of crunching on them. 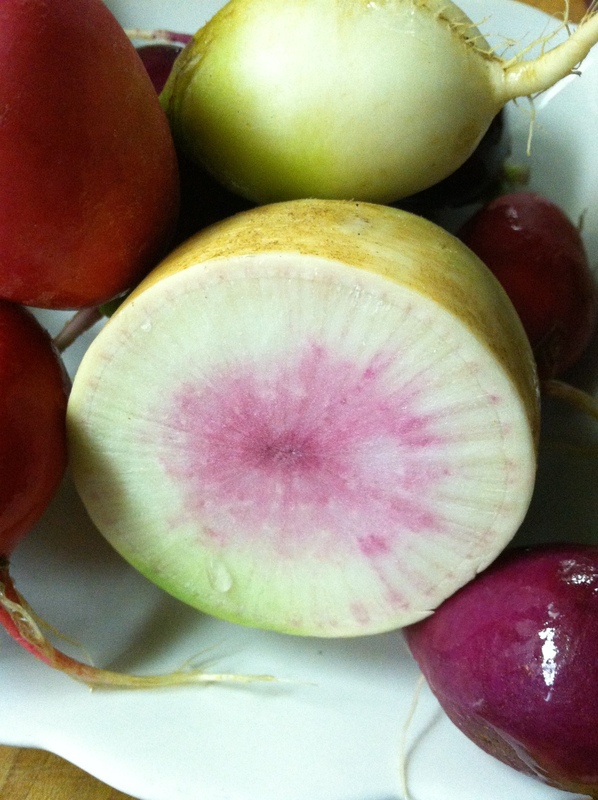 Sometimes they get steamed and called ‘Baby Pick Turnips‘ so as not to put anyone off by saying ‘cooked radish’. 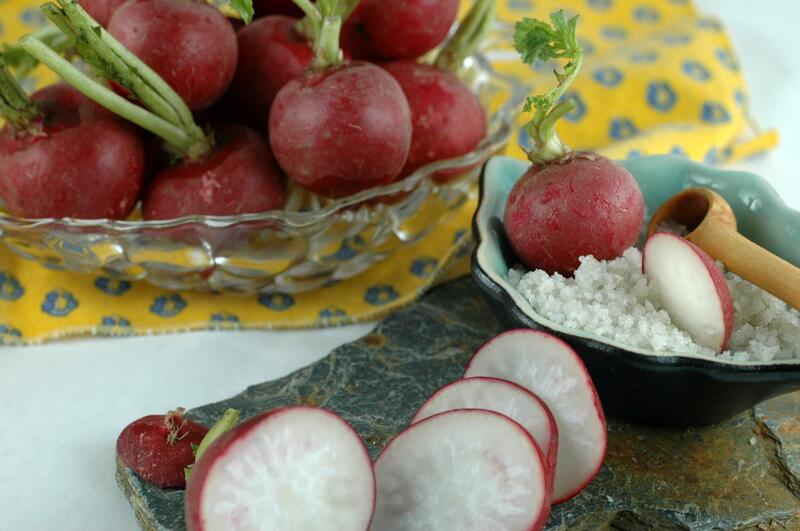 When I go on a road trip, the typical snack food is some nice crisp radishes and salt right there for snacking as I roll on down the road. This entry was posted in Recipes, The Life of a Chef, What every good cook should know and tagged cooking, Daikon, Radish, Snack food. Bookmark the permalink. I tried growing them once and all I got was long string like things with radish leaves on top. It is easier to buy them unless there is a secret I don’t know?! well… don’t know if it’s better than potato chips 🙂 but I follow you on this one. better than brussels sprouts! nice happy pictures you took.